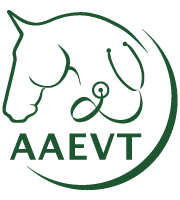 AAEVT | Survey: Happy to be working in equine practice? Survey: Happy to be working in equine practice? 30 Jan Survey: Happy to be working in equine practice? However, when it comes to employee engagement in veterinary practice, we know very little. That is why researchers at Edinburgh University, in collaboration with the Faculty of Veterinary Medicine of Utrecht University, The Netherlands, have initiated a study, focusing on employees in equine practices across the Netherlands, the United Kingdom and the United States. We want to gain insight into the level of involvement and satisfaction of individuals working in equine practice. What makes them proud to be part of the team, at which point do they become disillusioned, and what constitutes a healthy work-life balance? Important questions that need to be answered in order to ensure our sector – and our people – are future-proof. We would be very grateful if you’d be able to spare 5 to 10 minutes and complete our survey. Please note that the study will be conducted in complete anonymity and results cannot be traced back to individuals. We would like to invite anyone employed in equine practice to participate (this especially includes support staff), so please feel free to share this survey with your colleagues and employees.